We are all guilty of it; chucking on a pair of trainers, popping your iPod in your ears, heading out on a run and then scurrying back inside to shower and chill out on the sofa. We all know better, yet we all do it. However, missing out stretches will mean you miss out on a host of benefits. 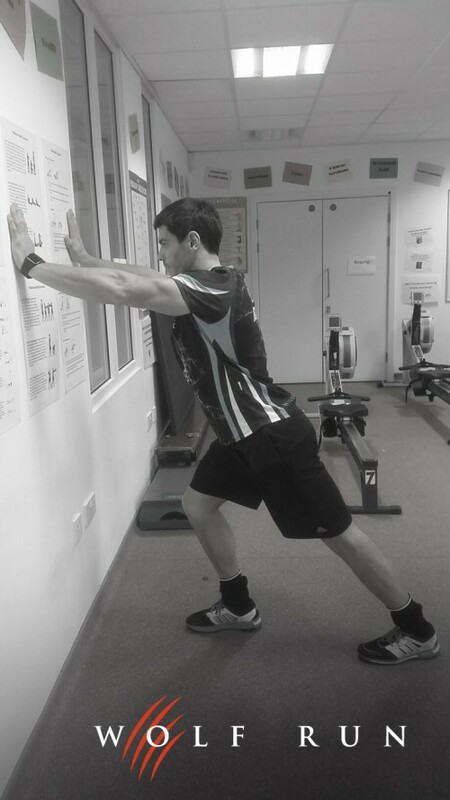 By performing adequate stretches you will improve your muscular coordination as well as your range of motion. So, what stretches should you be putting into your routine and how long do you need to spend stretching post run? 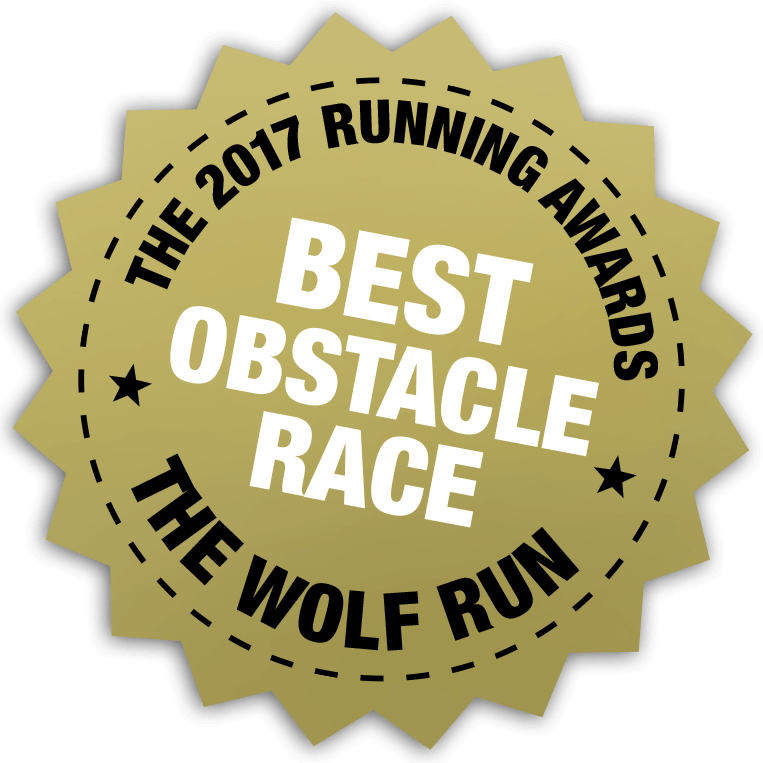 The Wolf Run’s Health and Fitness expert, Mark Hoban, says that just 5 to 10 minutes at the end of your run will make all the difference and there are 6 key stretches that can help improve your running and also help keep the common runner’s aches and strains on the back burner. All stretches below need to be held for between 15 and 20 seconds, unless otherwise stated and all must be repeated on each side. Breathe deeply when holding the stretch and stretch only to the edge of discomfort. 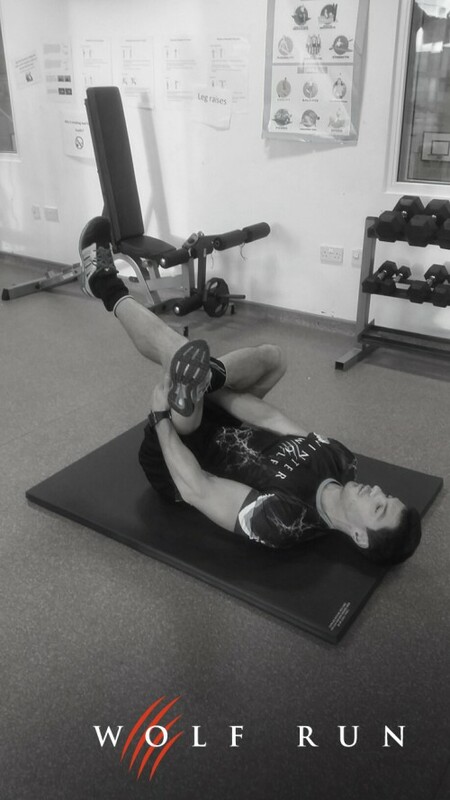 Stretching your quad allows the hamstrings to contract, which helps them increase in strength. Flexible quads are vital for speed and power on a run. Stand on one foot, holding the back of a chair to balance. With your free hand, hold the ankle of the stretching leg behind you. Pull your heel towards your bottom until you feel a stretch in the front of your thigh keep your upper body up straight – don’t lean forwards or it reduces the stretch. Tight hamstrings are the demon of many runners and problems here can lead to lower back pain as well as impacting your range of motion. 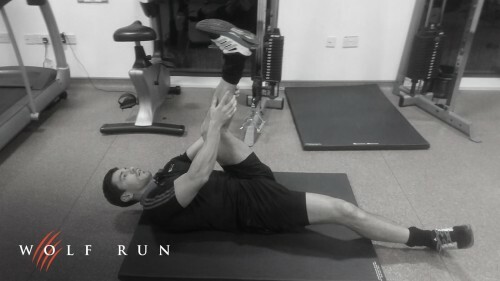 To improve hamstring flexibility, try this lying hamstring stretch, which keeps the spine neutral. Lie on your back with your legs extended and your back straight. Keep your hips level and your lower back down on the floor. Bend your right knee towards your chest, keeping your left leg extended on the floor. Straighten your right knee, and take hold of the back of your leg with both hands. Pull your leg towards your gently while keeping both hips on the floor. 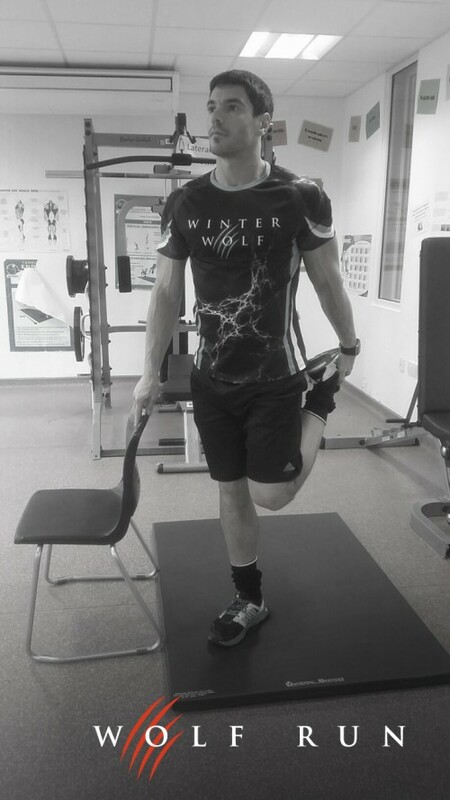 To reduce the intensity of this stretch, or if your hamstrings are already really tight, bend the knee of the stretching leg. Stand facing a wall, about 12 inches away from it. Extend your arms in front of your shoulders to place your hands flat on the wall, keeping the elbows bent. Keeping both feet flat, step or slide your left foot back. Lengthening your left leg and straightening your arms. You should feel the stretch in the calf of the back (straight) leg. The more your lower your heel to the floor, and the farther you slide your straight leg behind you, the deeper you will feel this stretch. Your piriformis muscle is responsible for your hips rotating. 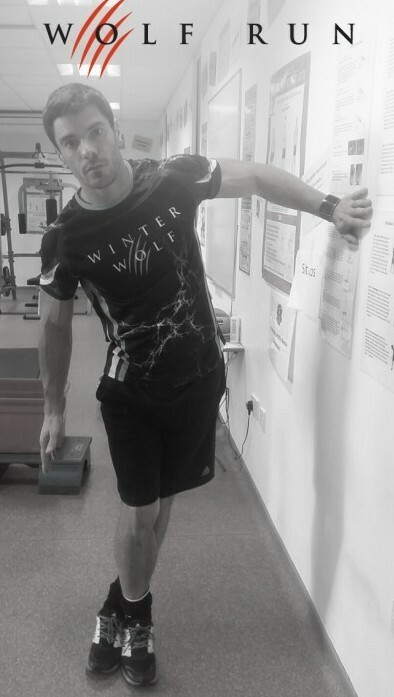 Although it's very important in activities that frequently change direction, it tends to tighten up in runners, which then leads to tight glutes. Lie on your back with your legs extended and your back straight. Keep your hips level and your lower back down on the floor. Bend your right knee towards your chest, grabbing it with your left hand. Place your right hand out to the side. Keeping your shoulder blades square (on the mat) use your left hand to guide your right knee across your body and towards the floor on your left side. Don’t force your knee to the ground. Tight glutes can mean that other muscle groups compensate and get overused. Over time, many problems such as lower back issues, knee pain or ankle sprains may happen. Lie flat on your back and bend both knees. Cross one leg over the other so your foot is resting below your opposite knee. Bring both knees towards your chest and gently pull the uncrossed leg towards you until you feel a stretch in your buttock. The Iliotibial Band (ITB) is a thick band of fibrous tissue that runs down the outside of your leg from your pelvis to your knee. Tightness of the ITB can make subtle changes to the way the knee moves resulting in knee pain. The IT band can really play up if you are trying to do too much too soon or if you are not giving yourself adequate rest days. With the left side of your body next to a wall, stand tall with your hand on the wall and your body an arms length away from the wall. Cross your right leg (leg farthest from the wall) in front of your left leg (leg closest to the wall) and place your opposite hand on your hip, shoulders relaxed, feet flat on the floor. Breathe slowly and steadily as you gently push your left hip toward the wall, bending your left elbow. Keep the foot closest to the wall flat on the floor, both legs straight, and your back straight (no leaning forward or back). Why not try these post run and see if our running improves over the next few weeks? It really won’t take long to notice improvements in your flexibility.